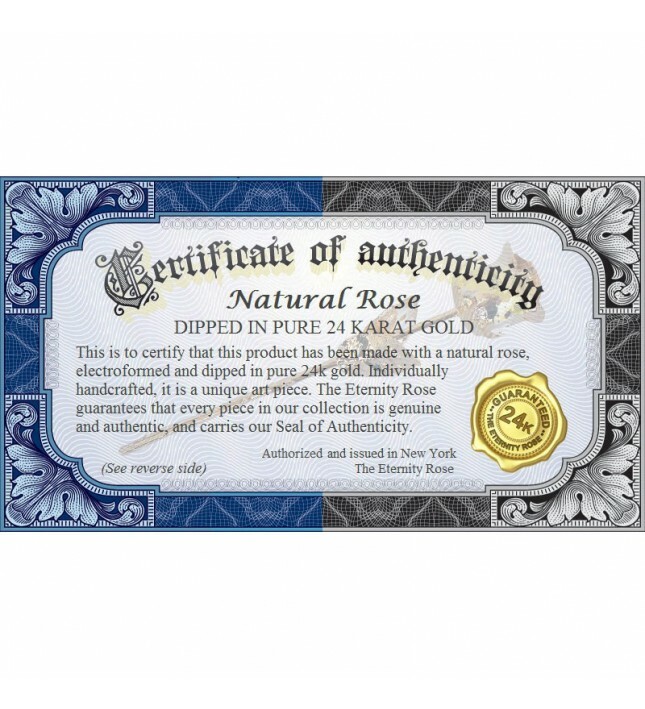 Natural rose dipped in certified 24 karat gold. 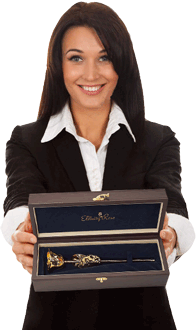 An impressive gift for your special lady. 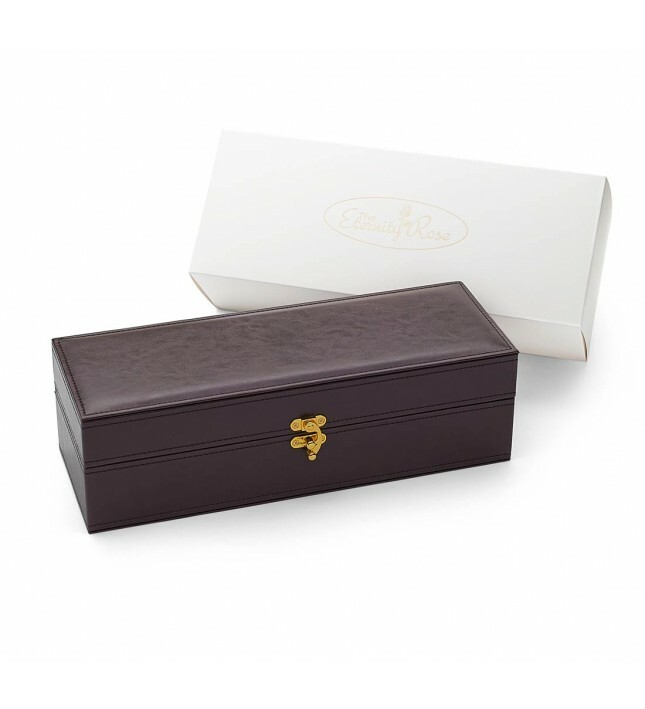 Comes in a beautiful PU leather display case. two-day transport free of charge. 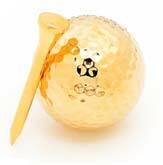 The world's most recognised symbol of love presented as you have never before seen. 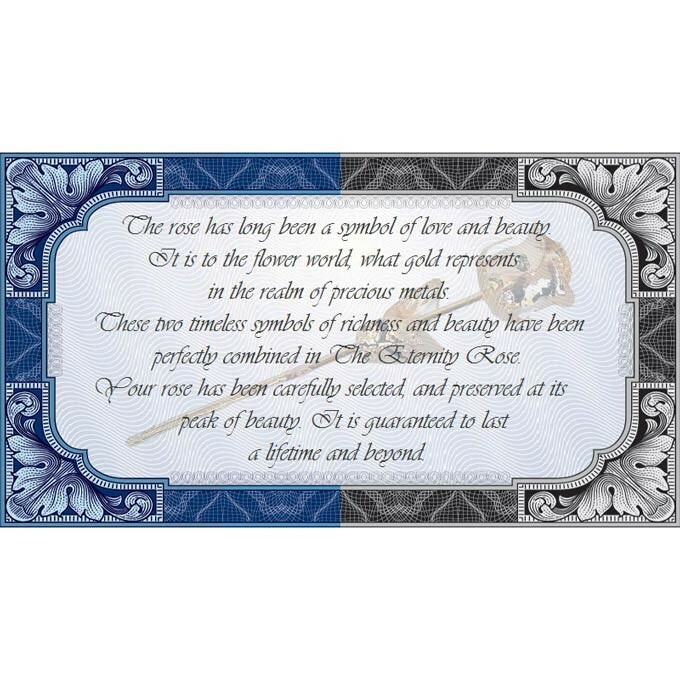 Natural rose picked at the peak of its beauty. 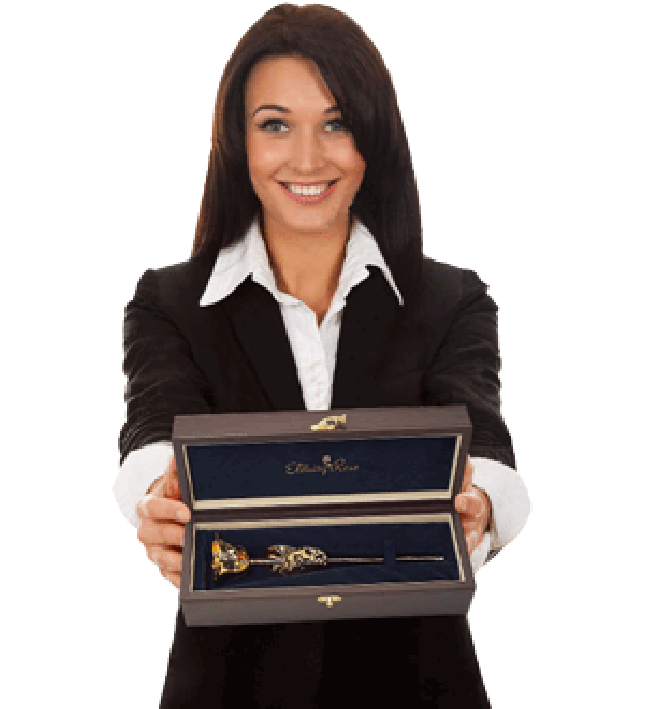 Supplied in a superb leather display case. A unique, artistic and highly impressive piece which symbolises love, beauty and friendship. 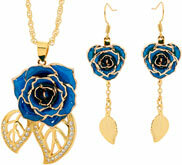 Throughout human history the rose has been a symbol of love, emotion and beauty. 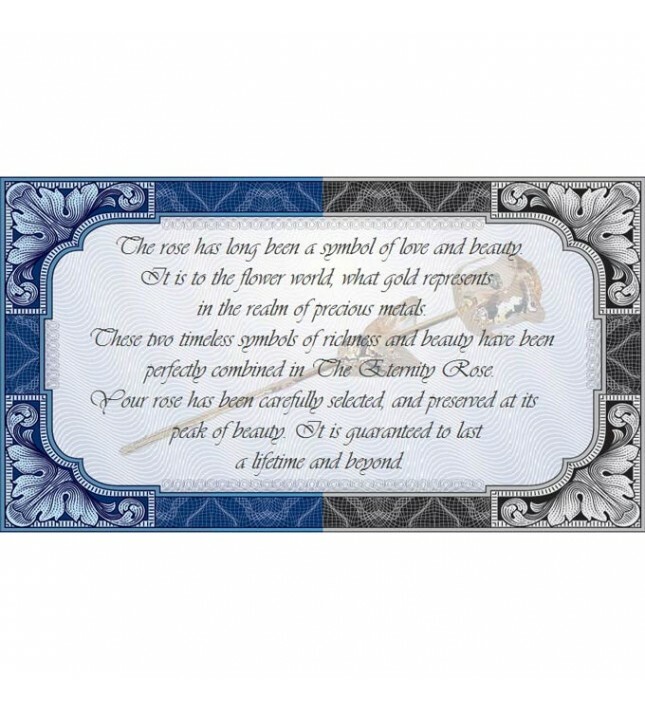 Both roses and gold have been immortalised in our art and literature as far back as recorded history goes. 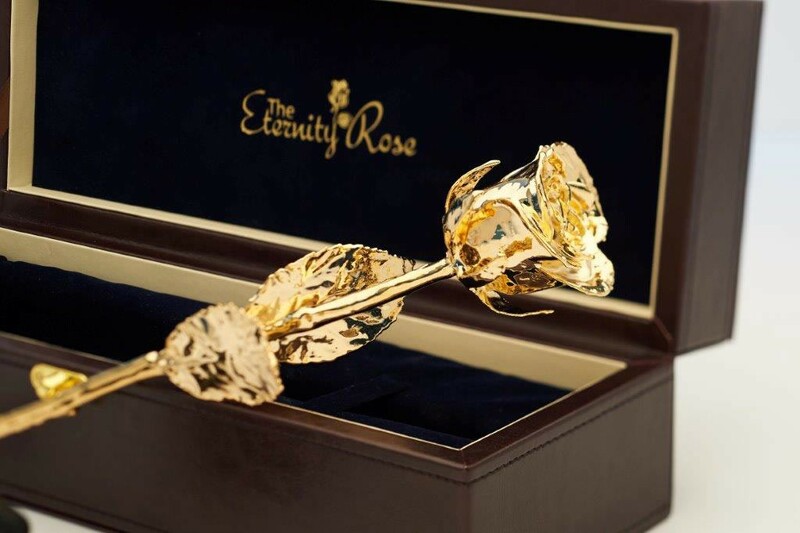 Both of these timeless symbols have been perfectly combined in an 'Eternity Rose’ to create a stunning gift that will last a lifetime. 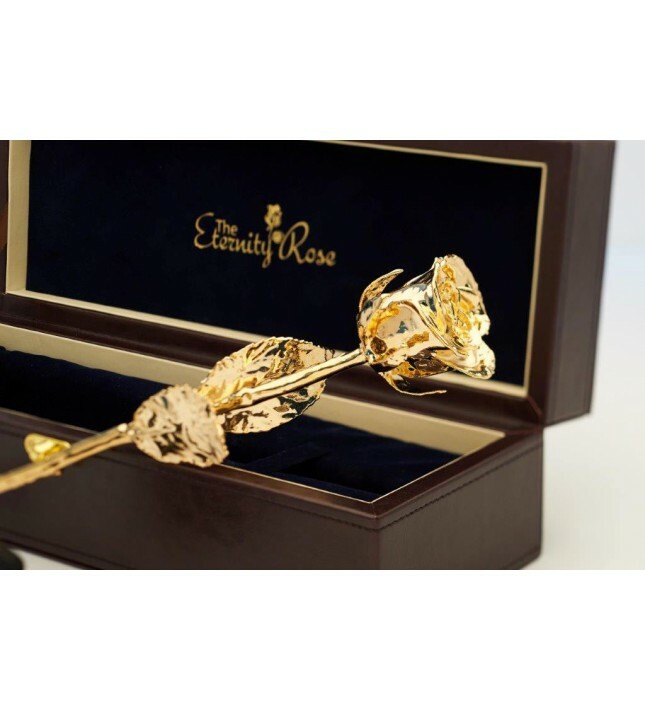 A beautiful Eternity Rose is the perfect gift for her on almost any occasion. 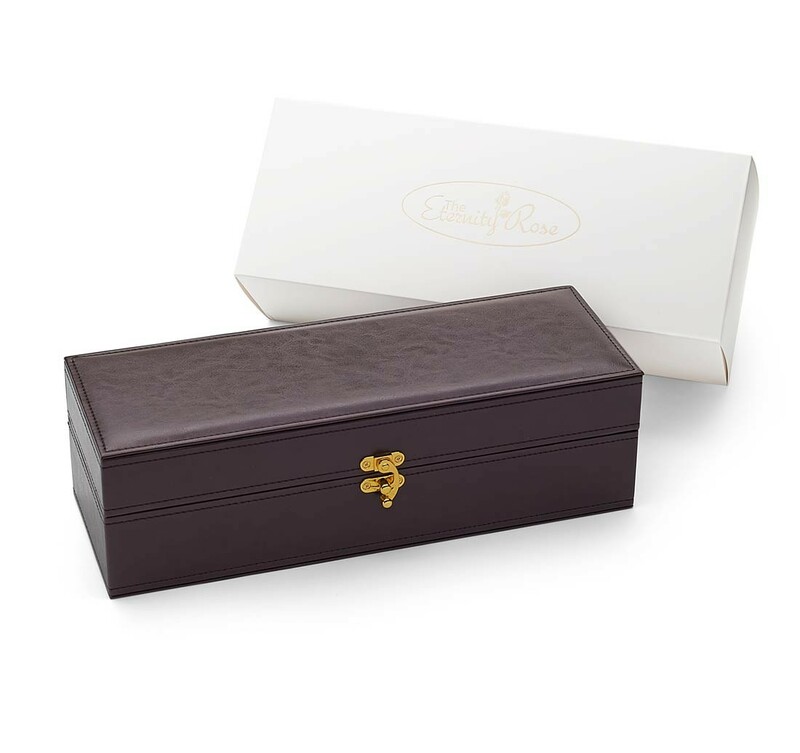 From birthdays, to Valentine’s Day, Mother’s Day and Christmas; in fact, almost any occasion where a beautiful and thoughtful gift for a loved one is desired. 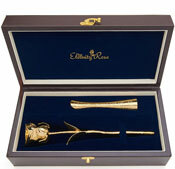 Our gold roses also make for the ideal golden wedding anniversary gift (50th wedding anniversary). 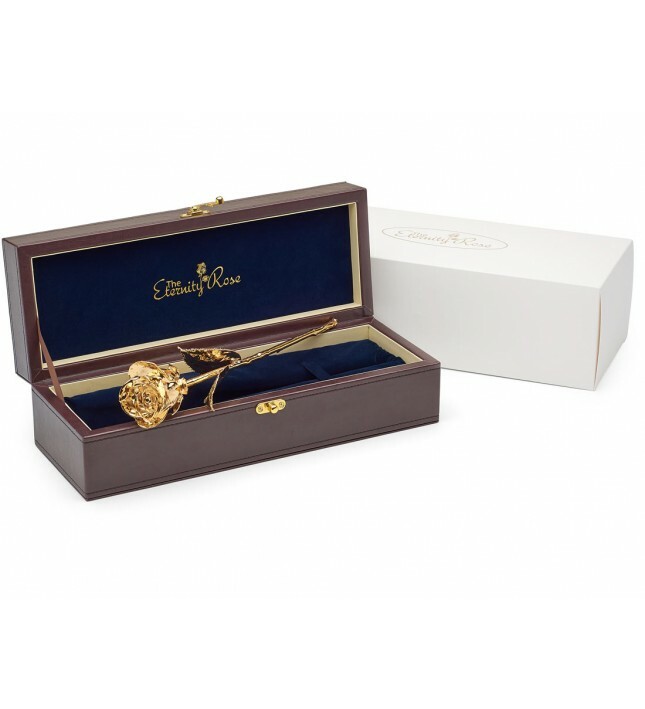 The Eternity Rose is an impressive present for all women and is a unique gift which speaks volumes. 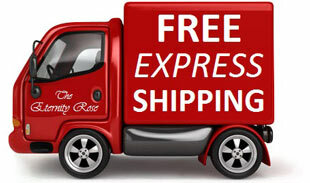 Many of our customers comment that our roses are a complete gift combining the beauty and elegance of flowers, with the majesty of fine ornaments. 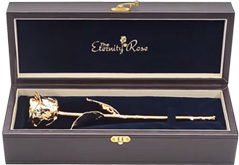 If you happen to be searching for a 25th silver wedding anniverary gift, you may also want to look at our silver-dipped Eternity Roses. Nothing symbolises love more than a single rose. 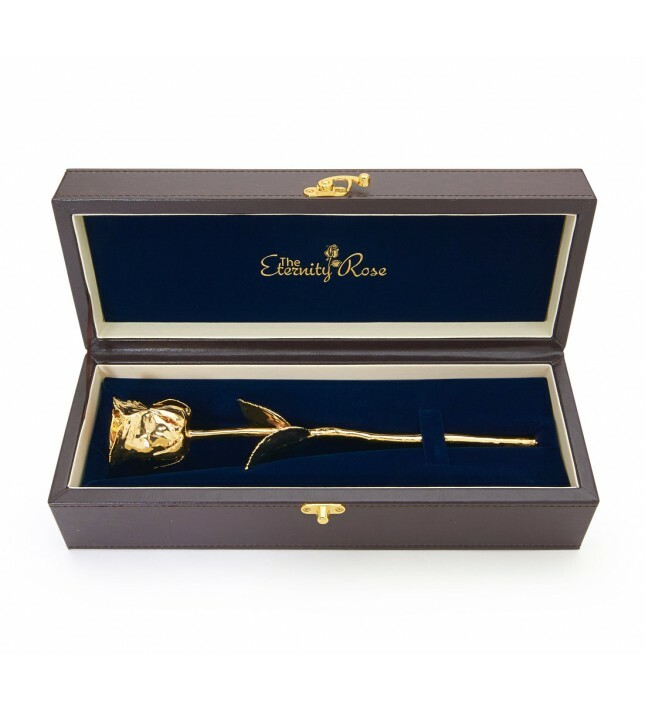 The aspiration of The Eternity Rose is to take this symbol of love, and develop it into a stunning work of art that will be proudly displayed, and symbolise love for an eternity. 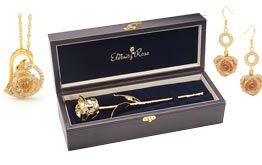 The roses are moved through a 60-step process gaining numerous layers via immersion electroforming that utilises our proprietary formulae. Initially they are electroplated with layers of pure copper. This provides a highly texture-sensitive layer, as well as the best base for precious-metal dipping. After the rose is sealed and accurately layered in copper, we commence electroplating in nickel. This layer provides the structural integrity which is necessary for the final step of certified gold-dipping. 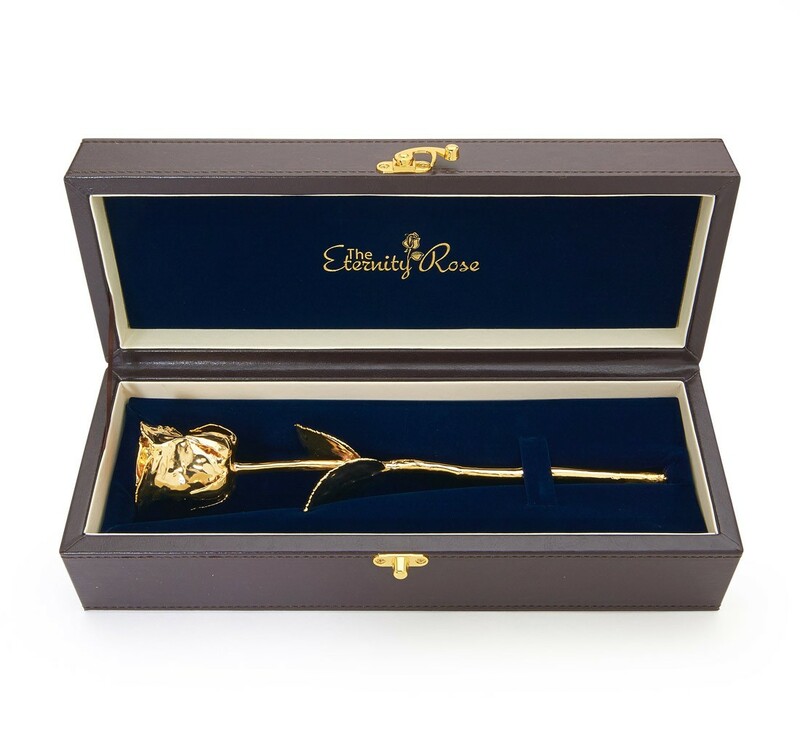 After each and every layer, the roses are inspected for form, plating quality and any other imperfections that may occur. 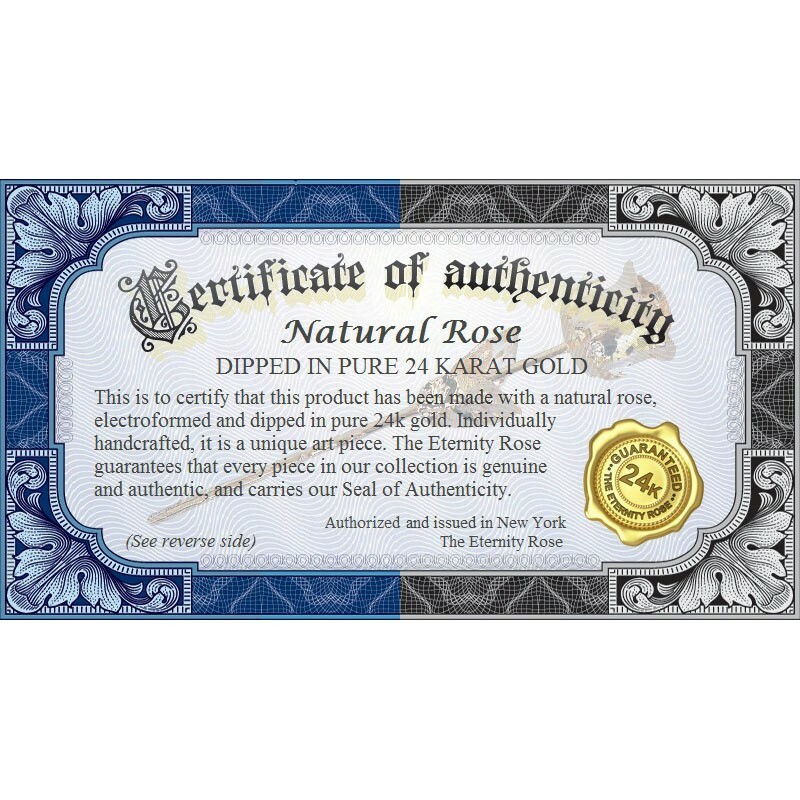 Only when they have passed our exacting quality control screening are they moved on to the 24 karat gold-dipping baths. The precious-metal coating process comprises of literally dozens of extremely thin layers which are slowly built up over many weeks. This results in a mirror finish that is highly lustrous, and brilliant in its surface appearance. The flower will not ever corrode and will last literally for thousands of years. 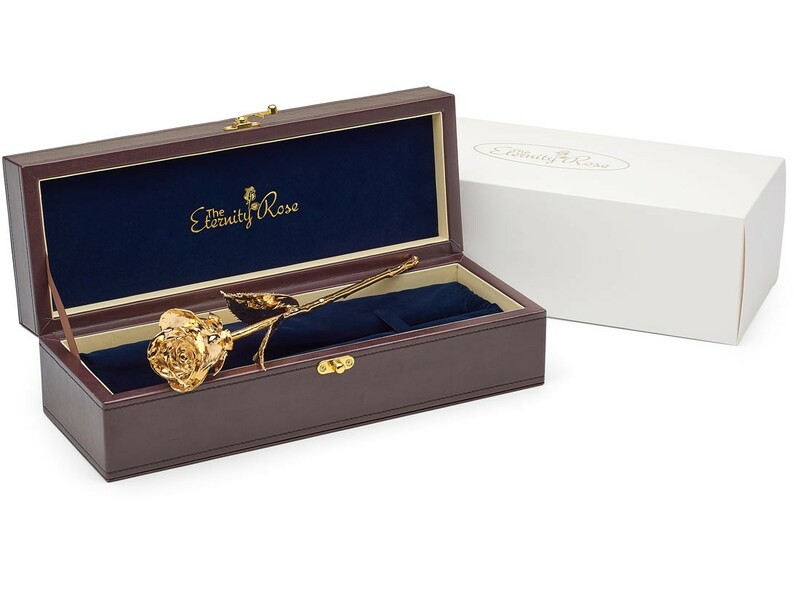 So go ahead and spoil a loved one with an Eternity Rose today. They deserve it.